The place is in the very center of the city. Everything is easily accessible. It is very comfortable and enjoyable. The heating was excellent! I will continue staying here because of the great host, service and accessibility. The unit we got was just as advertised. Nice place to stay if you do not travel by car. Easy walk to the city center. The host waited for our arrival. Helped us bring up our suitcases. The view from the apartment. The distance to the center of the city. Great location, host was very kind and helpful. We arrived late and he bring a milk for our small daughter. Very clean and comfortable. Big recommendation!!! Very comfy and perfect location. The apartment was fairly big and our host was kind and welcoming. Apt even had a kitchen, with a bunch of useful things and basically everything you'd have in your own house. Great value for money and you definitely won't regret it! The place is very clean and tidy. Every time I go to Sarajevo I stay here because everything you need is very near. It is in the very center. If you go with family or friends it will be a perfect choice. Place is basic but definitely fine and the manager is lovely, responds to any issues immediately. Apartment very close by the city. They have a parking, but at the time of our arrival, all spots were full, so the kind girl that welcomed us, Hajra, helped us find a spot on the street close by. The place is private and quiet. 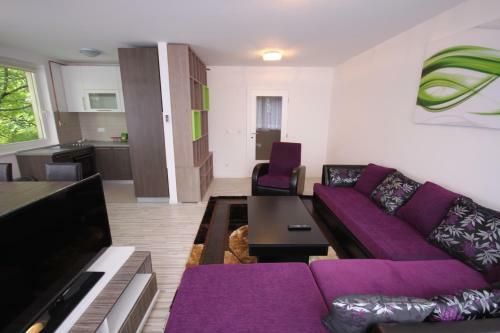 Lock in a great price for Sarajevo Apartments – rated 8.8 by recent guests! One of our best sellers in Sarajevo! 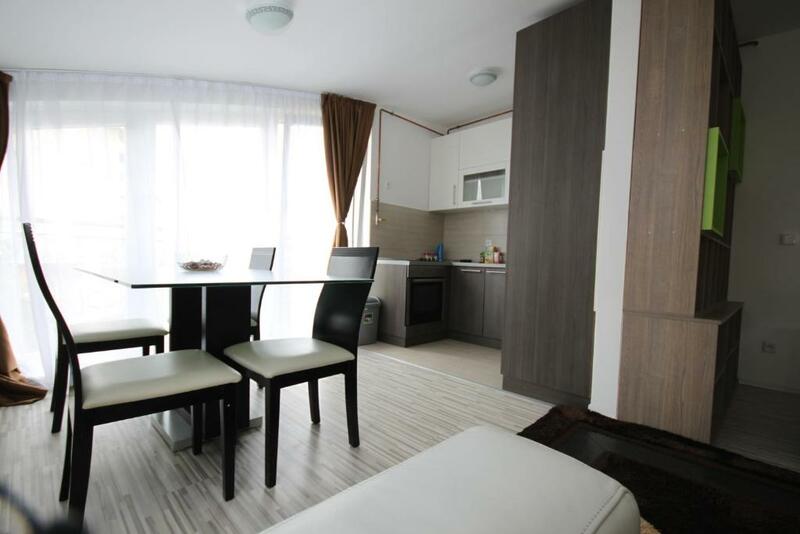 Located 1,650 feet from the Ferhadija promenade street, Sarajevo Apartments offers modernly furnished and spacious accommodations fitted with a flat-screen cable TV and free Wi-Fi. The city center is reachable by foot. Every unit features a bathroom with a shower, hairdryer and free toiletries and either a kitchen or a kitchenette. Some feature a terrace or a balcony. Free public parking is available nearby. The nearest restaurant and supermarket are 350 feet from the property. A shopping center can be found 1,950 feet from Apartments Sarajevo. The National Theater is 1,300 feet away, and the Gazi Husrev-beg Mosque can be reached in 2,450 feet. Tennis courts are at a distance of 0.9 mi. The ski slopes on Jahorina Mountain are 16 mi away, while the Bjelašnica ski slopes are 22 mi from the property. A bus stop is 50 feet away, and a tram station can be reached in 150 feet. The Main Bus and Train Stations are 1.9 mi away. Distance to the Sarajevo International Airport is 6.2 mi and shuttle service is available at a surcharge. 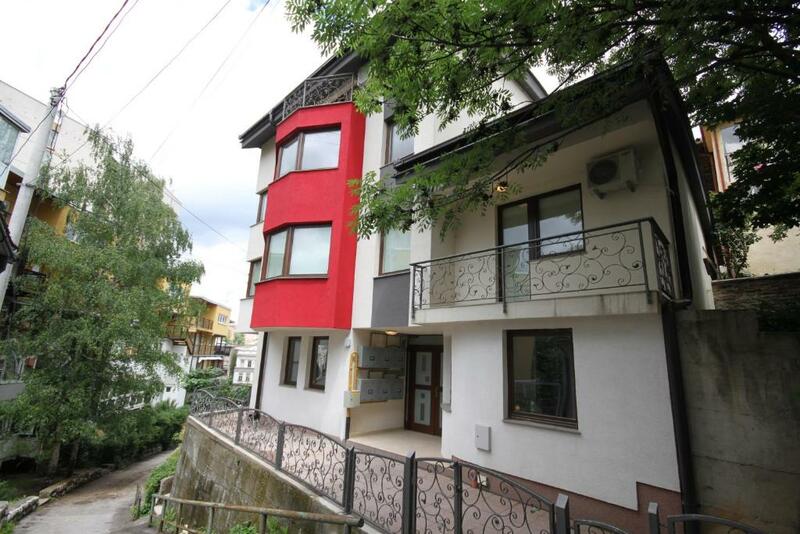 뀐 Located in the real heart of Sarajevo, this property has an excellent location score of 9.1! 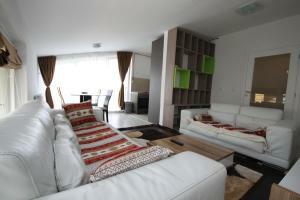 When would you like to stay at Sarajevo Apartments? This air-conditioned apartment features a balcony with a garden view and a seating area with a flat-screen cable TV. Also included are a fully equipped kitchen with dining area and a bathroom with shower, hairdryer and free toiletries. 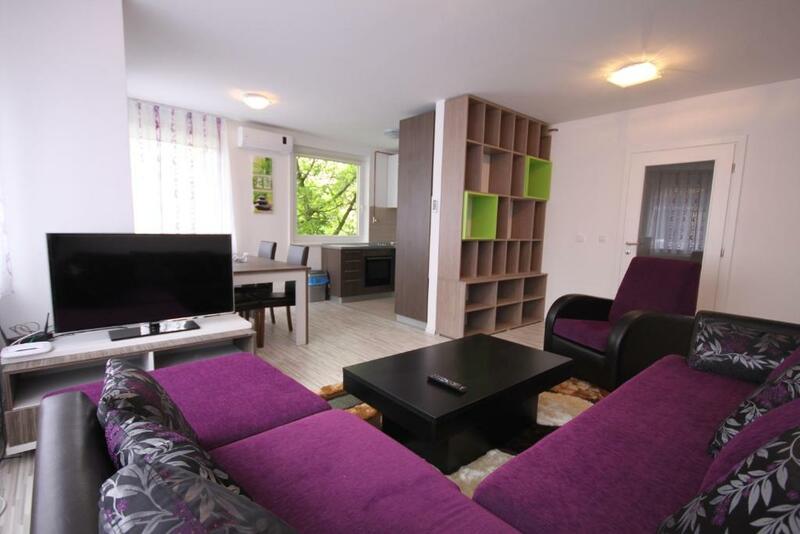 This spacious apartment is modernly furnished a features a balcony. It also comes with a flat-screen TV, a fully equipped kitchen and a bathroom with shower, hairdryer and free toiletries. This air-conditioned apartment features a terrace with a garden view. It comes with a seating area with a flat-screen cable TV, a fully equipped kitchen with dining area and a bathroom with shower, hairdryer and free toiletries. Features a seating area with a flat-screen cable TV, a fully equipped kitchen with dining area and a bathroom with shower, hairdryer and free toiletries. Features a seating area with a flat-screen cable TV, a kitchenette and a bathroom with shower, bidet, hairdryer and free toiletries. House Rules Sarajevo Apartments takes special requests – add in the next step! Please inform Sarajevo Apartments of your expected arrival time in advance. You can use the Special Requests box when booking, or contact the property directly using the contact details in your confirmation. Great and rather peaceful location near great restaurants and markets. Nothing, everything was so good. 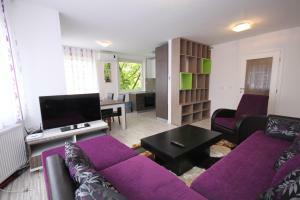 Everything was great, great location, 5 minutes from the Old Town, easy to walk everywhere... The host was very kind, the apartment is very comfortable, clean, heating is perfect, good value for money — parking in the street. 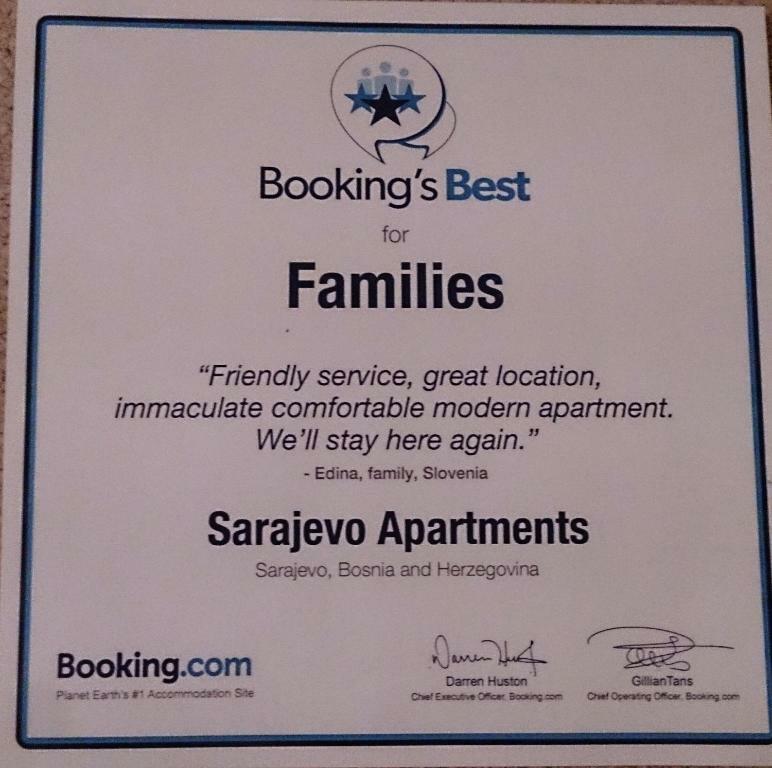 Next time when we come to Sarajevo, we will stay here again, that's for sure! firstly the host did not answer the questions I asked. There was no washing machine. the wifi was almost never attracted. the house was not clean at all. the kitchen utensils were very very dirty and lacking. the beds were dirty and broken. The place taken from the shower was very annoying. Location was nice. were regular. 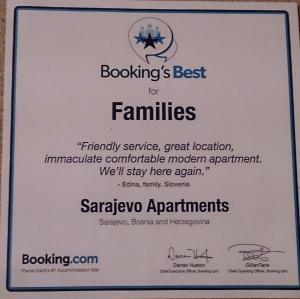 I was travelling with two other friends and we stayed at the Sarajevo Apartments for three nights. It was a fantastic room with a massive living space and great kitchen, bedroom and bathroom. Perfect location a 5 minute walk into the Old Town. Friends rented the apartment below ours and were burgled while we were away from the apartments. No sign of any forced entry but passports, valuables, clothes, rucksack and money stolen. Odd that only one set of mkeys is provided when it is known that several people are staying. Our host seemed scepticle that any robbery had occurred as the television had not been taken but a tv under your arm looks suspicious whereas a rucksack doesn't. Although the apartments are good and the location good, I would be concerned about security. Location was good. Old Town near Latin Bridge easily found. Bath towels we're unpleasant and rough. Lounge floor was dirty. Open shower sprayed water all over the bathroom floor. We came at our nominated time but no one was there to let us in. We had to call a mobile and as we are international tourists that was difficult. There was no indication that the host was in a room that we could have pressed the door bell. The bed was very uncomfortable. Silence. Perfect location. Good keepers. We get garage for car 5€/night. A little awkward to find at first. Parking is in nearby streets. 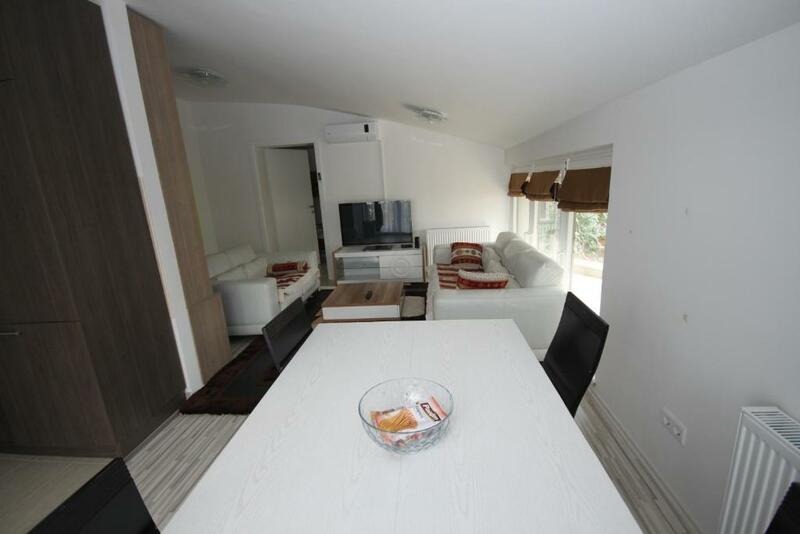 very modern apartment, stylish and comfortable and well located. Hosts helpful.